Direct General, one of the nation’s largest car insurance providers, recently released alarming information about the country’s uninsured motorists, revealing a high percentage of drivers with the intention to drive despite their lack of insurance. The Nashville-based auto insurance company reported that 36 percent of drivers interviewed said they would continue to drive even when they have no insurance. The figures are significant especially with the July 4th holiday weekend fast approaching, meaning more cars on the roads and a higher possibility of accidents. Even when driving without insurance is illegal in most states, about a third of respondents said that they think some forty percent of drivers on the road are actually uninsured. The insurance provider says that motorists with expired insurance policies have difficulty renewing their coverage because many insurance companies simply refuse to issue policies for currently uninsured drivers, people with low credit ratings, or lapsed payments. Dan Tarantin, the company’s CEO, said that the situation is ironic because motorists cannot avail new insurance when they need it the most because of financial hardships. He also expressed concern over the expected rise in uninsured drivers with the economy getting worse. Faced with the reality of uninsured motorists on the nation’s roads, Direct General has embarked on an advertising campaign to raise the awareness of drivers and to offer them affordable car insurance. Tarantin added that the campaign is set to convince uninsured drivers to reconsider their decisions and at the same time get an opportunity to renew their policies without being refused because of their financial status. The Insurance Research Institute (IRI) has earlier reported that the economic downturn is likely to cause a sharp increase in the number of uninsured motorists. 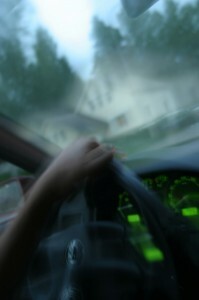 In 2007, an estimated 13.8 percent of drivers were uninsured. It is believed that this will rise to 16.1 percent in 2010. The figure is the highest in at least two decades, according to the IRI.